The sequel to the original point n' click adventure where you play as a thief determined to find and escape with money that is said to be hidden in an abandoned house. 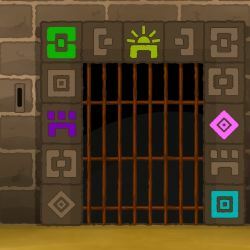 In this adventure you face many obstacles, while basically looking around for items to complete your mission. There are several ways to get yourself killed, and you will most likely figure this out the hard way. 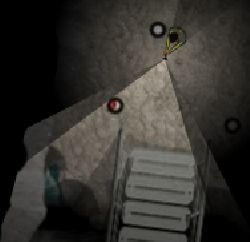 The games toughest obstacles are the random death sequences, these are instances in which the house throws a random death-trap your way, all of these requiring split-second reaction time with a click of a mouse or a stroke of a key. 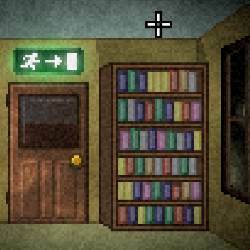 Heist also consists of a series of puzzles to keep you thinking in the midst of all the horror. Money is behind every corner, see how much you can get out with. Use the mouse to interact with objects and move around the house. Death-trap react buttons are arrow keys, space bar, and/or a mouse click. 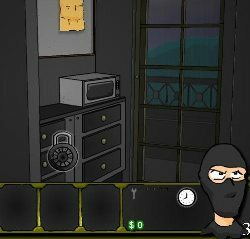 Click here to send Heist II - Greed is Hell to your friends using your default email program.